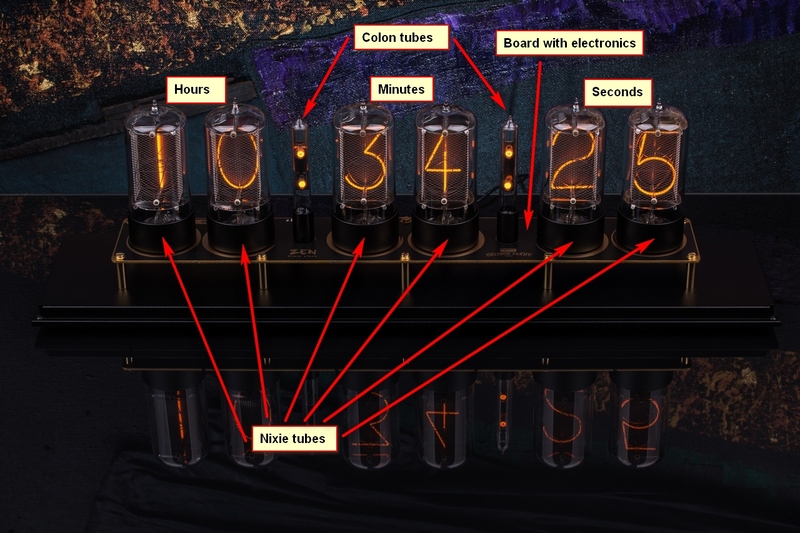 The Zen Nixie Clock is equipped with a wireless Wi-Fi module which provides internet connectivity for the clock. The clock can be used in two modes – online (connected to the cloud) and offline. In online mode, time is automatically synchronized from internet. Online mode also allows user to access all settings using internet browser (Clock online interface) and keep the clock updates thanks to automatic firmware updates. 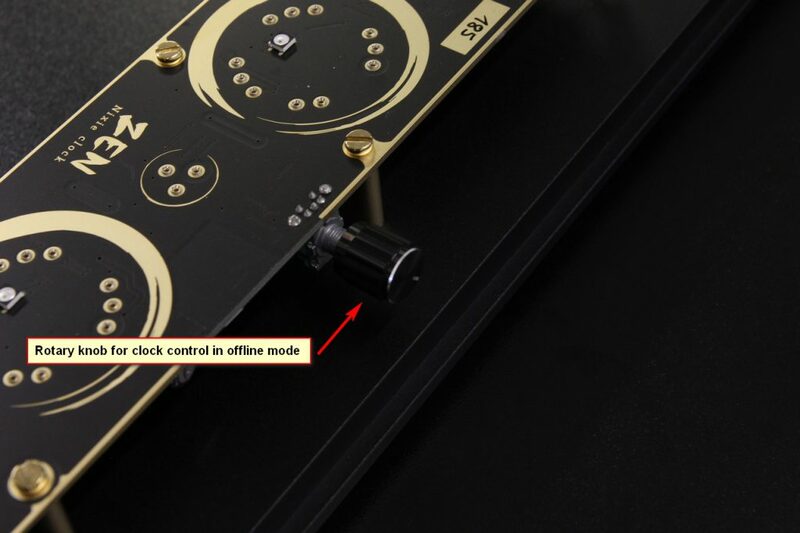 In offline mode, all the settings (including time) are done by rotary knob on the back of the clock or using Direct Connect.